Interested in adding Resistant Starch to your diet, or just curious about it? I decided to write this post because I’ve been wanting to refer my clients to a page that gives a good overview and also includes practical ways they can incorporate this prebiotic starch into their diets. 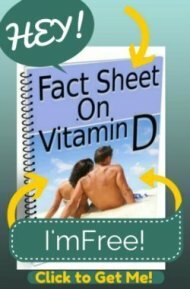 I give cudos to Richard from FreetheAnimal.com who, I believe, has been instrumental in bringing this information to the masses. And while his information is great, and his Resistant Starch Primer is great, it takes a lot of reading and digging around his site to simply find out what to eat and how to eat it to get the benefits of this prebiotic. Don't confuse PRE-biotics with PRO-biotics, which are live bacteria found in supplements, as well as many foods like yogurt, and are one of the Benefits of Sauerkraut and many other traditional fermented foods that have been consumed for hundreds of thousands of years. PREbiotics are starches and contain no actual bacteria, but are merely food for the bacteria that populate your digestive tract. All of these sources are gluten-free, and can help to repopulate the gut in those with Celiac Disease or Non Celiac Gluten Sensitivity. There are other sources, however, they are either difficult to find impractical to use due to taste. So for all intents and purposes, these are really the best sources, but here is a complete list of all Resistant Starch Foods. I try to eat prebiotic starches on a daily basis, and here's how I do it. Anyone starting on a new regime of eating prebiotic starches should start out slowly as problems can occur, particularly for those with known gut problems such as SIBO, IBS, or Chrohn's Disease. Some gas may occur in everyone, but this will pass in a few days to a week for most, and is simply your gut reacting to the new food you are feeding it. The Good Bacteria in your gut, just like the microorganisms in beer or canned food, produce gas as a waste product. When you feed them, you may produce more flatulence. This flatulence is more likely (and almost assured to occur) if you use the unmodified potato starch. For those of you with any digestive issues, if you suspect serious candida infection, or if you have taken extensive amounts of antibiotics, be very cautious as you could have severe gastric distress if your bowel bacteria are sufficiently damaged. In those cases, you are better off using the whole foods listed below for a few months before trying the more potent potato starch. Get your gut used to progressively larger amounts of prebiotics and, if you tolerate them well, you can try the potato starch if you would like to. 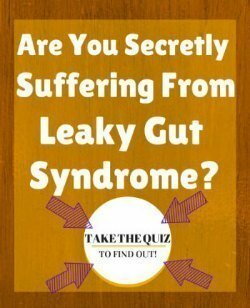 But be aware that those with seriously damaged gut bacteria can have severe bloating, flatulence, and even pain when just beginning this regimen. So start slowly and stop taking the starch if you have any serious problems. Potatoes are certainly the easiest, cheapest, and tastiest way to get resistant starch in Western countries. Use any potatoes EXCEPT sweet potatoes. To get these prebiotic starches from potatoes they can be eaten raw, but that's not very tasty. The better way is to cook and cooled them, leaving them in the fridge at least overnight. This transforms the starch in the potatoes into resistant starch. Unlike green bananas that need to be RAW, the potatoes can be reheated, so they can be eaten just like regular potatoes once they have been cooked and then cooled for at least 8 hours. Cooking and cooling potatoes also makes them a lower glycemic food, making them more friendly for diabetics. Some diabetics who get a blood sugar spike from eating potatoes, can safely eat cooked" potatoes with less of a blood sugar spike. This is true because some of the starch converts to an indigestible starch that does not affect blood sugar. This may not be true for everyone, so if you're a diabetic it's best to test your blood sugar and find out for yourself how you react to resistant starch potatoes. Here a few ways that I make resistant starch potatoes. 1. Plain Old Baked Potatoes: Take a few pounds of potatoes, you can use any kind of potatoes except for sweet potatoes or yams, which are not actually potatoes , either boiler make them, then throw them in the refrigirator overnight. Eat them right out of the fridge cold with nothing on them (which is tastier than it sounds), reheat them (they maintain the resistant starch that way), cube them and add them to your eggs and vegetables for a breakfast hash, eat them like regular baked potatoes with salt and sour cream, make them into potato salad. 2. Baked potato 'chips': I go into the details of how I make baked potato chips, and how they saved me from any digestive distress on a year-long trip through South America on my page Preventing Traveler's Diarrhea. 3. Vicchysoise: In Ireland, they call it the exotic-sounding 'potato leek soup', but in France they call it Vicchysoise. The primary difference is that they serve it cold in France, just like you'd want to do if you were trying to get resistant starch! Maybe they know something that we are just learning. Just look up recipes for Vicchysoise, or simply potato leek soup, but make the soup a day ahead of when you plan to serve it. It's delicious and so filling it can be a meal on it's own, or serve it with a salad. 4. Hash Browns: Shred them before cooking them in a skillet until they are soft and cooked, but stop before they become browned. Put them in the fridge or freezer at least overnight, and cook them the rest of the way whenever you desire. If you can find frozen potatoes that are intended to be used for hash browns, they should have resistant starch if they were ‘parcooked’ before they were frozen. It is unlikely to say on the packaging, but you can contact the manufacturer to find out. Please put a reply at the bottom of this post if you contact a manufacturer, then everyone can benefit from one person’s research. 5. Unmodified potato starch: Potato starch should be considered an 'advanced' strategy. If you are considering using it, see the cautions above. Unmodified potato starch is the least expensive source of concentrated resistant starch. Sold on Amazon or in health food stores as Bob's Red Mill Unmodified Potato Starch (not potato FLOUR, and not regular potato starch. It must be unmodified potato starch), it's only a few dollars per pound. Unmodified potato starch cannot be heated, so stick to putting it in foods or liquids, such as smoothies and yogurt, that are no hotter than about 140 degrees Fahrenheit, or you'll 'pop' the resistant starch, rending it back to regular starch that will not feed your gut bacteria. Flatulence is 'normal', and in those with a 'normal' gut, it should pass in a few days to a week when your gut bugs get adjusted to their new food source. I’ll warn you, though, the flatulence can be copious, so plan on slowly working up to higher dosages, or when you will be stay away from being in close quarters with people. 1. Raw Green bananas and green plantains: Most people cannot tolerate them raw, as they are pretty unpalatable. If you do like them raw, well... enjoy! That's the perfect way to get a gut full of resistant starch without any fuss. But most of us don't find green bananas quite so palatable. A better way to enjoy them is to cut them into slices, season them with salt and various spices, and dehydrate them at below 145 degrees Fahrenheit. Some ovens can be set to temperatures this low, but if yours doesn't, you'll need to get a dehydrator, or even sun-dry them if you are able. Once dried, they are great used as a platform for dipping, such as guacamole or hummus. 2. Green Banana Flour: There is only one commercial product created to have resistant starch from green bananas, and it's a green banana flour from a brand called Wedo. While the packaging does not discuss how the flour is processed, several consumers have called them and have ensured that they understand the concept of how resistant starch is made, and they do dehydrate the flour at low temperature to preserve the resistant starch. Unlike potatoes that retain their resistant starch when reheated, green bananas need to remain raw. So, while you cannot cook with the Wedo flour, it can go into smoothies or yogurt, or put into dips or gravies if they are kept below 145 degrees Fahrenheit. I'm sure that you'll find other interesting concoctions to make with it that will benefit your gut bugs. 3. Cooked and Cooled Beans: Soak your beans overnight and drain them (don't skip this step), then cook long and slow until soft, then cool at least 8 hours. You can reheat the beans. Canned beans work too. Cooked and Cooled Rice: Rice, particularly when it’s plain white rice, needs to also be cooked and cooled to bring out the resistant starch. Think sushi. 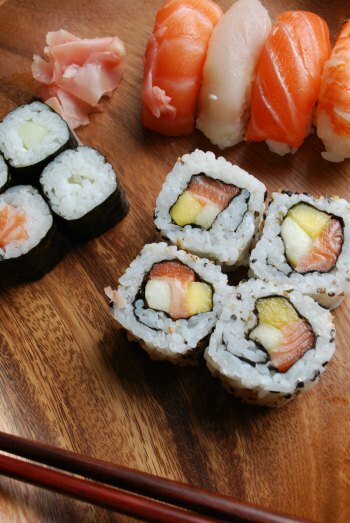 In fact, if you talk to your local sushi restaurant they might already cook the rice and cool it the night before, giving you a go to source of starch even when eating out. Put some MCT Oil in your rice, which is particularly good on sushi, and you can lower the glycemic value of the rice significantly, possibly making sushi an acceptable restaurant meal for many diabetics. Check your blood sugars to find out if this is true for you. Tiger nuts: not really nuts, but legumes that grow underground like peanuts. Originally from Africa, and possibly a staple food for hunter-gatherers there since time immemorial, they are now grown commercially in warm dry climates such as Spain. They are small snack size morsels the size of large peas. Since they are dry, they can be kept without refrigeration for long periods of time and are good snacks to carry around for snacks during the day. They can be bought from Amazon in quantities from a few ounces to dozens of kilos. Try both the 'peel on' and 'peel off' varieties, as they both have resistant starch, but each will appeal to different taste buds. The peel-off variety should appeal to kids, as they are naturally sweet. They are also interesting soaked for a few hours before eating, or blended in the blender to make a ‘Tiger Nut Milk’ that tastes a bit like the Mexican rice drink called ‘Horchata’. There is also tiger nut flour, which I have not used. I have not been able to find out whether tiger nut flour can be cooked and retain the resistant starch. If someone does this research, please comment below. 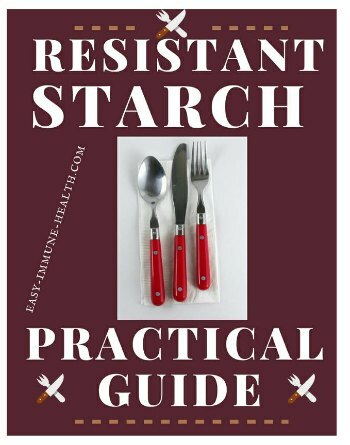 So that is the practical guide to resistant starch. I hope it helped to simplify your education and to be a reference that you can bookmark and come back to over and over for the future. Let us know below what you think and if you have anything to add to this guide.